Just a little endless mod for my GWS Sail Winch S125 6T servo, which is used to move automatic door in my chicken coop. This servo has 6 turns and this is enough to open the door, but I did this mod before automatic door to be sure. 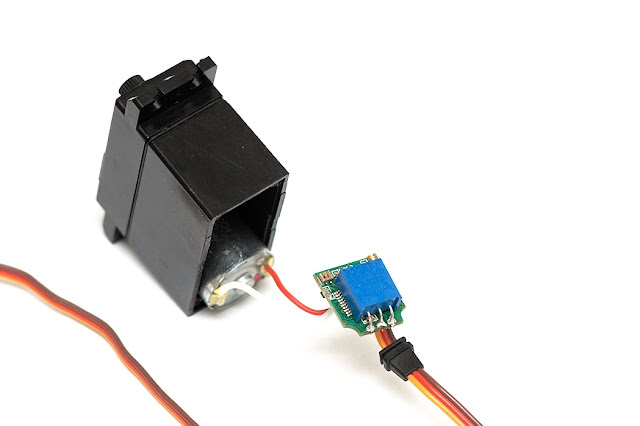 So just open this servo, remove potentiometer, solder 10k trim pot in place of potentiometer. Then set 1.5ms pulse on servo controller and turn trim pot till servo stops moving. This is it, servo is endless now. To move CW send >1.5ms pulses and to move CCW send <1.5ms pulses. Or you can use 5k resistors instead of trim pot and then ajust pulse width to stop movement. And when you found needed pulse, just use lower or higher pulse width to move CW or CCW. Two cheapo 10W led drivers, which I hacked (see previous post) to supply 1A current, just died. They make high frequency noise now. Checked components and found that output diode has failed. 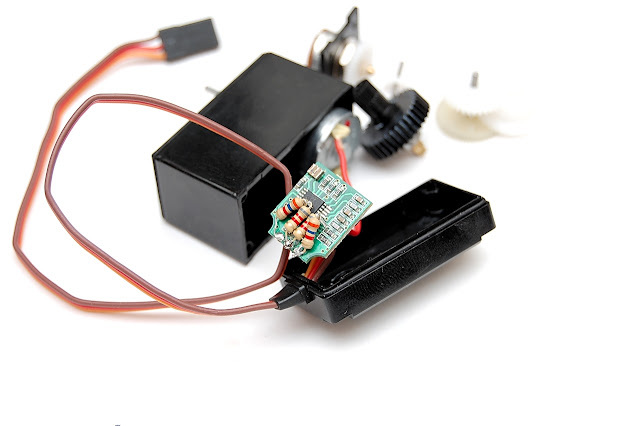 Diode is SR260, 2A shottky. I guess it's failed because of temperature inside driver enclosure. I made holes in second driver and it's failed too. Replaced SR260 with 2x1N5819 in parallel, works for now, will test inside enclosure later.